1. Strokes occur due to decrease in blood supply to the brain or defects in blood vessel. 2. Common risk factors for stroke are diabetes, high BP, obesity, family history and smoking. 3. Symptoms of impending stroke are, inability to smile, weakness in the arm, slurred speech. 4. Stroke is a medical emergency which can lead to permanent disability or even death hence best treated in a hospital. 5. Recovery is possible if the patient reaches the hospital in time for appropriate treatment to be initiated. Stroke is a serious threat that occurs due to decrease in blood supply to the brain. Blockage of blood supply or some problem in a blood vessel of the brain can lead to stroke. During a stroke, the brain is not able to get the required amount of oxygen and nutrients, which causes brain cells to die. Stroke requires an immediate medical intervention. 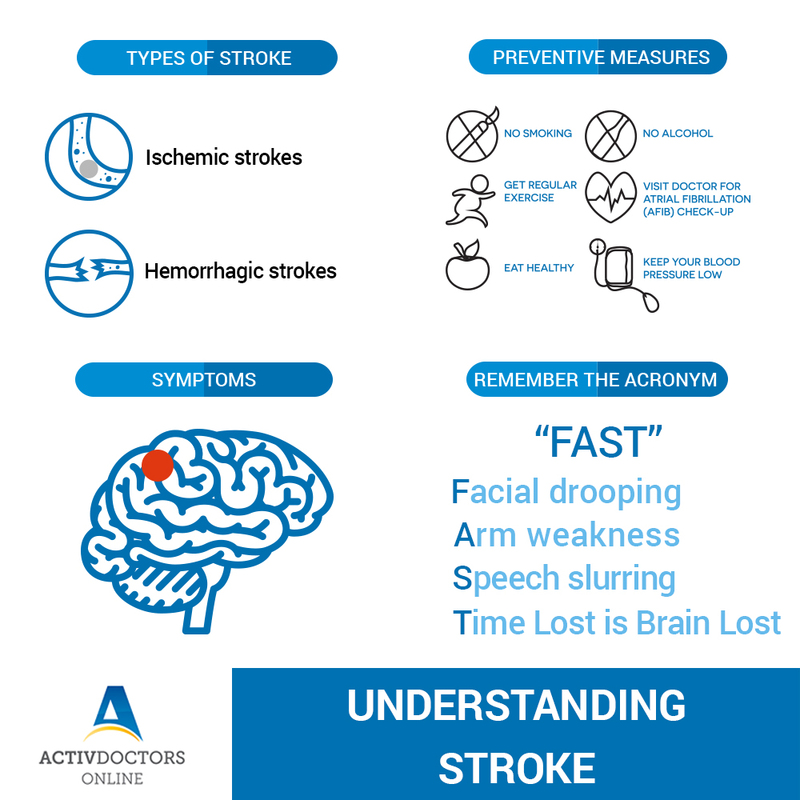 It is easy to remember the FAST acronym in order to recognize the onset of stroke. When a person shows symptoms related to the stroke, a neurologist has to confirm it. Along with this, the doctor also need to confirm its location and the extent of brain damage as treatment decision will based on these factors.